Please email ahead to ensure I am not at a conference. My research office, Hill Center Room 726, is on Busch campus. The telephone number is 848-445-6918. This office will be used as a visitor office in 2016-17. Sophie and Julia's page or Neepa Maitra's page . Notes on a course on geometry and measurement for k-8 teachers. I wrote a little note explaining the connection between the number of ways of making change and polygons. For more little articles like this, I recommend Tom Davis' math circles page . For example, here is a nice discussion of Euler's theorem which has cutouts at the end. Here is the Singapore mathematics curriculum, which is a favorite of professional mathematicians. Alexander Givental has some interesting links on his page for example,Singapore vs. California math textbooks . Sumizdat Home Page . In addition to having some great offerings, sumizdat is a great joke, see here . Yuka Taylor, Ph.D. 2003, George Mason Math Dept., Vermont Law. Sikimeti Mau, Ph.D. 2008, Berkeley Math Dept. Now at Venizia. Reza Rezazadegan, Ph.D. 2009, Aarhus Math Dept., Uppsala Math Dept. Andreas Ott , (joint with D. Salamon) Ph.D. 2010, Cambridge Math. Dept. Sushimita Venugopalan, Ph.D. 2012, Tata Institute of Fund. Research, Mumbai. Now Chennai Math Inst. David Duncan Ph.D. 2013, Michigan State University 2013--2015, -- --now at McMaster. Doug Schultz. Ph.D. expected 2017. 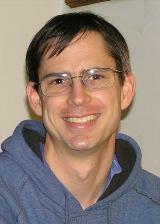 Matt Leingang , Rutgers assistant professor 2000-3, now at NYU Math. Eduardo Gonzalez Rutgers assistant professor 2005-8, now at Univ. of Mass. Boston Math. Dept. Alexandra Popa (joint with L. Borisov) Rutgers assistant professor 2012--2015. Joseph Palmer, to start 2016.